In the 1st part of this article, we did an overview of DWLS 2nd charges, and saw how where a case is being handled can affect it’s outcome. In that regard, we’ve said a lot, but only learned a little. Let’s now turn to the reality of DLWR 2nd and Subsequent charges and how they’re handled in Court. As we have noted, the vast majority of DWLR cases originate from multiple DUI’s. A person facing a “true” DWLR 2nd, meaning they only have 1 prior DWLR conviction on their Record, will still have to explain themselves to a Judge. Even if they were caught driving to work, the Judge will point out that they absolutely knew they were not allowed to drive, but chose to do so anyway. What do you say to that? This is were the value of a good Lawyer comes in. Beyond droning on about how old you’re client is, and where they work, and how they just want to get on with their life (which is about the most useless waste of words I ever hear come out of a Defense Lawyer’s mouth – who doesn’t want to “get on” with their life? ), a good Lawyer will point out to the Judge that the Client understands that, no matter what happens in Court, they have effectively “shot themselves in the foot.” Remember, with each subsequent Offense, a Judge has to figure that whatever sentence the person got last time, it wasn’t enough. 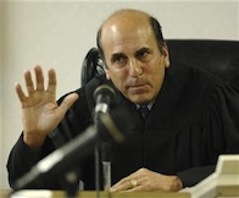 In order to keep the Judge from “ramping up” the consequences, the Lawyer has to point out to the Judge that there are other consequences to the person’s actions, outside of Court, that will automatically be “ramped up” anyway. What I mean is that the Lawyer needs to point out that the Client is going to get nailed, financially, by the Secretary of State for additional Driver Responsibility Fees. And here’s a catch: Even if a DWLR 2nd Offense is reduced to a 1st Offense, the Secretary of State simply counts the number of prior Offenses within 7 years. Thus, a person with 2 DWLR 1st Offense convictions within 5 years is going to pay the same Driver Responsibility Fees as a person who has both a DWLR 1st and a DWLR 2nd Offense. For DRF purposes, such a Plea Bargain has no effect. Beyond that, I always remind the Judge that a good part of my Practice is Drivers License Restoration cases, and that this Client has just set themselves back for at least a year before they can even think about getting a License. Once the Judge sees that the person will automatically be suffering the consequences of their driving, they may feel less compelled to pile on many more additional ones of their own. A similar strategy is used in dealing with the Prosecutor. The truth is that most Prosecutors and Judges do not have a full understanding of the all of the License Consequences that occur in any case, nor do they have any clear understanding of the Driver Responsibility Fees that accumulate, beyond knowing they’re there. And they don’t need to. They simply deal with these cases as another Misdemeanor. However, an astute Lawyer will succinctly explain these things in order to produce the most lenient outcome possible. Depending on the circumstances, this can be anything from a Plea Bargain down from a 2nd to a 1st Offense, a “No Jail” recommendation from the Prosecutor, or a “No Jail” Sentence agreement with the Court. When a person faces a charge that is “Subsequent” to a 2nd Offense, meaning it’s their 3rd, or 4th, or whatever charge beyond a true 2nd, things get more serious. It should go without saying that the more priors a person has, the closer they are to going to Jail. There comes a point where, no matter where the case is being heard, some Judge will just have had enough and lock the person up. Figuring out exactly where that point is, and which Court will do at what number of Offenses requires more than experience; it requires a crystal ball. Sometimes we need to look beyond the simple number of Prior Offenses to gauge exactly how bad a case is, or isn’t. Someone who got their 3rd DUI 2 years ago, had their License Revoked for 5 years, and is facing a 3rd DLWR in that time frame is in a lot worse shape than someone who got their 2nd DUI 9 years ago, and is facing their 3rd DWLR. Of course, there are loads of factors that can be at play as to why a person never got their License Restored. Maybe they moved out of state for a while, and just didn’t get it back. Maybe they got laid off and didn’t have the money to get it Restored. The point is, and this is why I pointed out at the beginning of this article that these cases don’t necessarily spell the end of the world, even in the toughest Courts of the Tri-County area, almost all of the Judges will examine each case individually, on a case-by-case basis. This is why having a good, thoughtful Lawyer is so important. The Lawyer makes sure the Judge has all the facts that separates this case from the rest, and makes sure to highlight all the factors that can be used to minimize the negative consequences of a DWLR 2nd charge. As I observed earlier, however, there does come a point when a person has done this so many times that not matter what a Lawyer does or says, any given Judge will feel the only way to get someone’s attention is to lock them up. I have made mention that for anyone who faces a DWLR 2nd Offense, there will be some severe License consequences. I also noted that, even if a person gets a 2nd Offense knocked down to a 1st Offense, the Secretary of State merely counts the number of prior Offenses for purposes of Driver Responsibility Fees. As far as Revocations go, anyone convicted of a DWLR, whether 1st or 2nd, will have an “Additional Mandatory” period of Revocation attached to their current Revocation. This means, in practice, that their License will be Revoked for at least an additional year beyond the ending date of their current Revocation. Just because a person becomes eligible after a period of time to file a License Restoration Appeal does not mean that they will win. In fact, DWLR cases are a huge obstacle to having a License Restored, even after the period o Revocation has passed. One of the issues the Secretary of State’s Driver Assessment and Appeal Division (DAAD) which overseas License Restorations, must consider in an Appeal is the person’s “Motivation to Drive Safely, and Within the Law.” Anyone with multiple DUI’s and no DWLR convictions does not have to deal with this issue in a License Appeal. Any person who had a DWLR, much less several of them, does have to deal with this issue at the time of their Appeal, and it is no small matter. On my website, in the Driver’s License Restoration section, I call this the “Seldom-Occurring Issue,” because, in fact, the majority of people who try to get a License back do not have any DWLR convictions. Not a good spot to be in. When called on to represent someone in a License Restoration, I usually have to assess all the factors of such a person’s prior Record in determining how long they should wait (beyond their initial eligibility date) to file a License Appeal. We know that DWLR 2nd (and Subsequent) charges are more serious than DWLR 1st Offense cases. We have examined how they need to be approached in Court, and with the Prosecutor. We have seen that with each prior conviction, a person moves away from being able to have their Lawyer make everything okay and moves closer to a Jail sentence. And if the reader isn’t already in this boat, we have hopefully given them a reason to call a cab instead of risk all the consequences of this charge.